When applying for home loans, one of the first questions your lender will ask is if you own any collateral. Collateral is property or other assets that a borrower can offer to secure the repayment of a loan. With enough collateral, a lender is more equipped to approve your loan, often at a lower interest rate. A lender’s claim to a borrower’s collateral is known as a lien. If a borrower fails to make the promised loan payments, a lender has the option to seize the collateral to recoup their losses. If you are not able to qualify for a regular, unsecured loan, your lender may recommend a secured home loan. 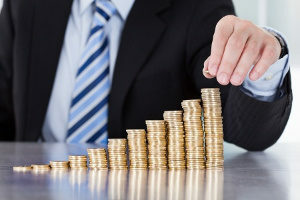 Secured loans, also known as collateral loans, are backed by a borrower’s assets. Having collateral assets makes the loan safer for the lender, but can also offer the borrower benefits. Vehicles: While your car may not secure as much money as a house would, it can act as collateral. Other types of vehicles, such as motorcycles, and watercrafts, such as boats, may also be offered. Savings Account: If you are seeking a home loan at a bank in which you have a savings account, your lender may offer you a savings-secured or a certified secured loan. This type of loan allows you to keep your cash in a savings account while having the option to withdraw cash or fund an item you may need. Investments: Stocks and other investments can be used as collateral and are typically known as stock-based loans or securities-based loans. With this type of loan, the bank may extend credit to the full amount of the investment value. Machinery and Equipment: Certain types of machinery and equipment that have a high value may be used as collateral. For example, if you own a construction company you could use an excavator or backhoe as collateral. Future Paychecks: Paychecks that you make in the future can be used as collateral to secure a cash advance loan. This type of loan allows you to borrow the money you need in advanced, but you must pay it back as soon as possible. Acquiring a secured home loan through collateral offers benefits to both the lender and borrower. One of the biggest advantages for the borrower is an easier approval. As the lender now has a way to assure they will get their money back, credit requirements are typically more relaxed. Even individuals with bad credit may have the option to acquire home loans if they have enough collateral to make up for their poor credit rating. Another major benefit of a secured loan is the lower loan rates. Secured loans often result in lower interest rates than an unsecured personal loan would have. While you may not notice the benefit at first, a lower interest rate can offer huge savings in the long run by creating lower monthly payments and less total interest paid over the life of the loan. Some types of secured loans, including home loans, allow eligible individuals to take tax deductions on interest paid annually. With a secured loan, you may also borrow larger amounts as the lender is usually more confident about your ability to pay. 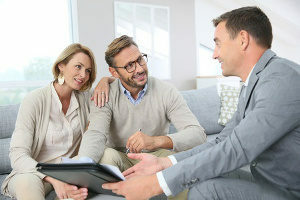 Mortgage companies base their decision to approve home loans on a specific set of criteria known as the four C’s of underwriting: capacity, credit, cash, and collateral. The application is the start of the loan process and this is when the borrower provides all documentation, including proof of ownership for their collateral. Once an application has been submitted, the loan request is processed and all documentation is verified. An underwriter is responsible for determining whether it is an acceptable loan. If it is, the loan is then approved and the closing process begins. Collateral loans are one of the most popular types of home loans and work similar to traditional loans. As collateral loans use your assets as security, they are not all the same. Take the time to compare different home loans and lenders in your area to find one that best fits your needs.